Just after Easter my parents went to Dublin for a short break. I decided to join them on the last day of their break and go to the Guinness Storehouse as I’d never been before! I arrived early in Dublin having got the bus down and decided to take a walk around the streets and sights of Dublin before meeting my parents. 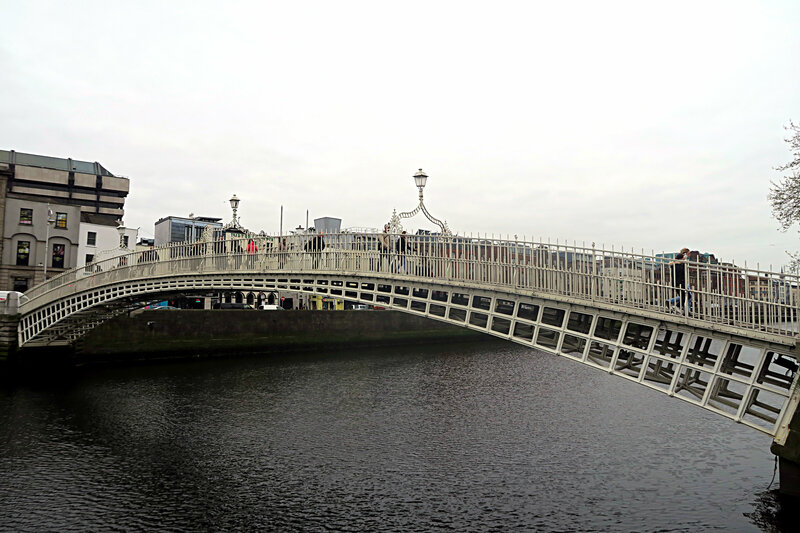 Dublin is one of my favorite places in Ireland to spend a day but it isn’t cheap with lunch and a pint of Guinness costing the best part of £15.00. I hope to spend £15.00 on two day trips not just for lunch on one day trip! So be prepared and bring extra money with you. 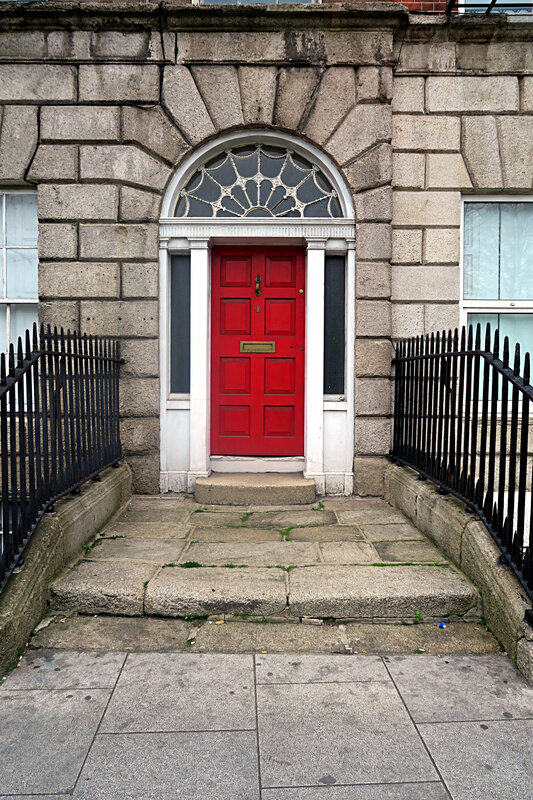 Dublin has two main streets; O’Connell Street (where the Easter Rising of 1916 took place at the GPO ) and Grafton Street (the main shopping thoroughfare near to St. Stephen’s Green). 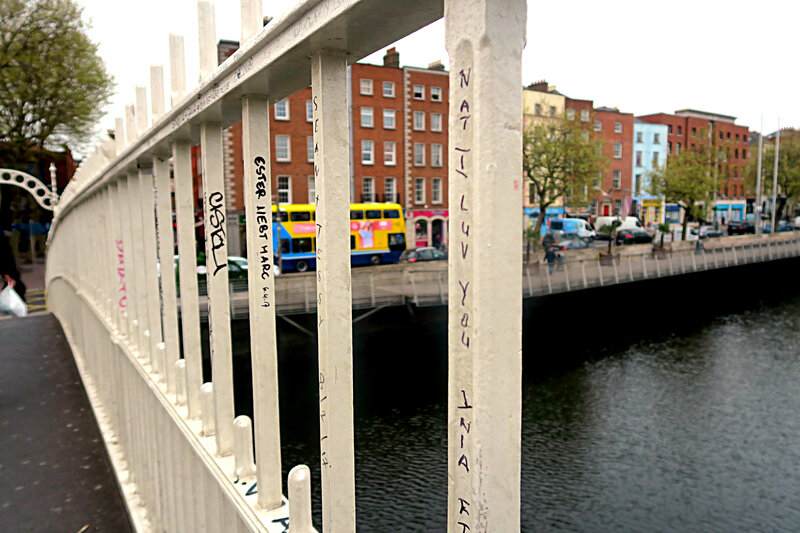 I walked towards the Ha’Penny bridge and through to Temple Bar. 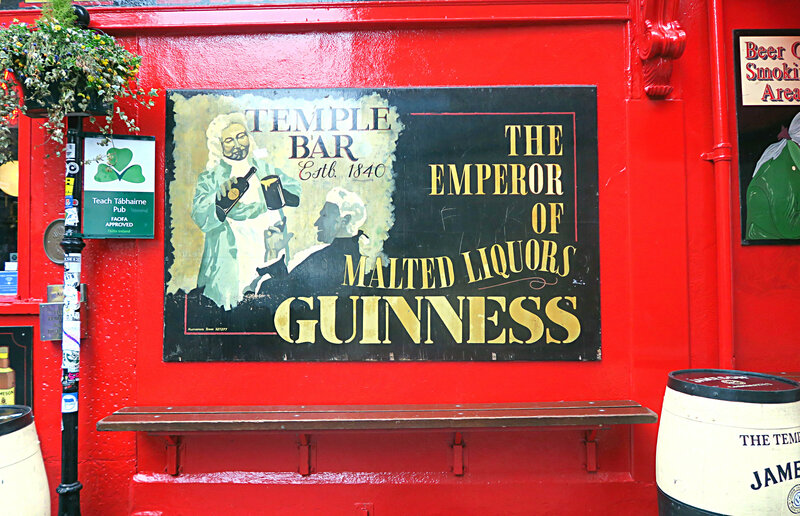 Yes the famous Temple Bar with the famous strip where people go for a night out. 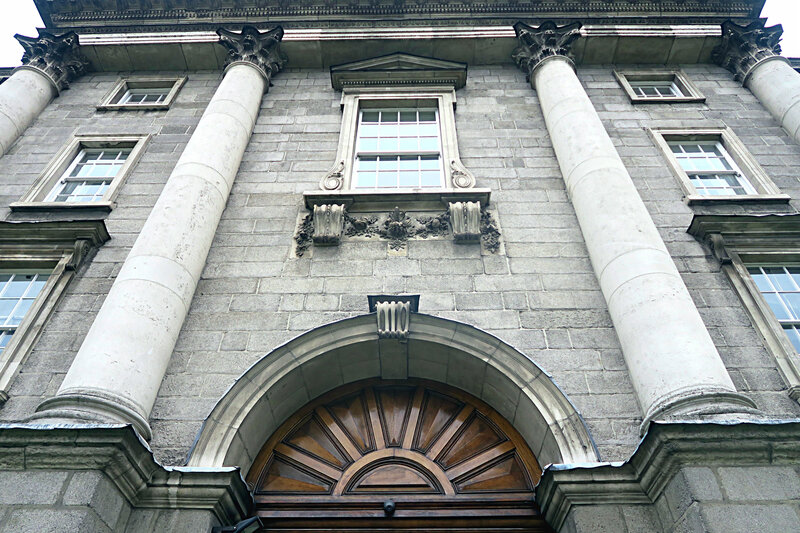 I walked through Temple Bar making my way to College Green, Trinity College and onto Grafton Street. I had a bit of a meandre around Grafton Street before treating myself to a Butler’s Hot Chocolate. F.Y.I. they made me a dairy-free version as milk and cream play havoc with my stomach! It was divine. Butler’s Chocolate is world renowned for the quality of their chocolate and rightly so as it is delicious! 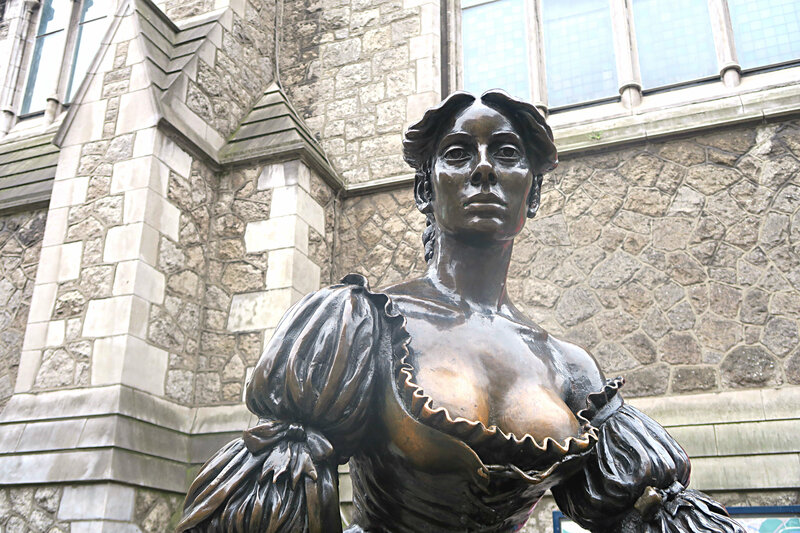 I also walked past the famous Molly Malone statue near to where I had a hot chocolate. My hot chocolate was so nice I forgot to vlog and take pictures! After this, I met up with my parents and we had fish and chips (though I forget where it was!) and walked to the Guinness Storehouse. Just a bit of warning if you have kids, anyone with mobility issues or just generally don’t feel like it the storehouse is a bit of a walk from the city centre. 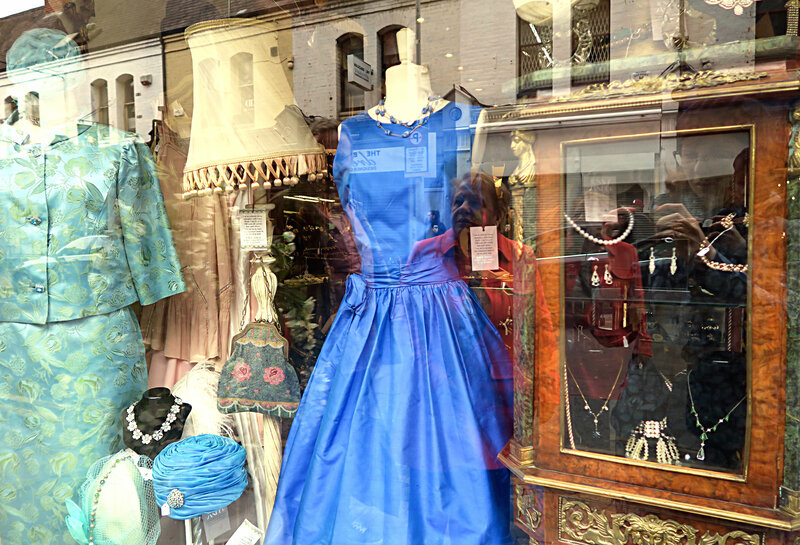 On our way I did some vintage shopping at Harlequin and my favorite vintage shop, Jenny Vander’s. 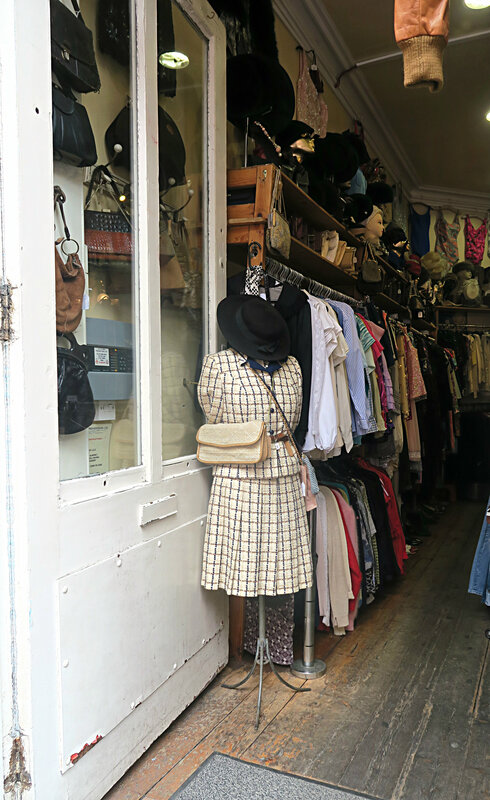 Both shops have the best vintage in Dublin and I’ve been continuously buying from both shops for fifteen (!) years. 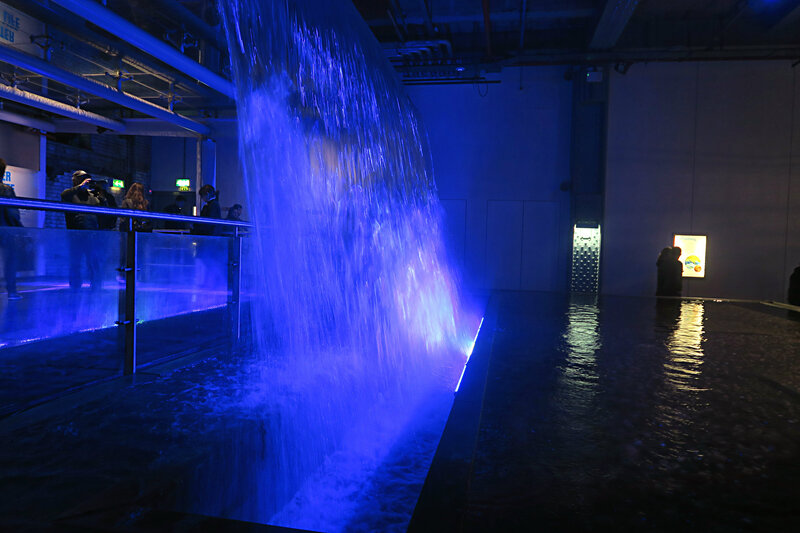 We booked in advance so skipped the queues and made our way to the Guinness Storehouse experience. 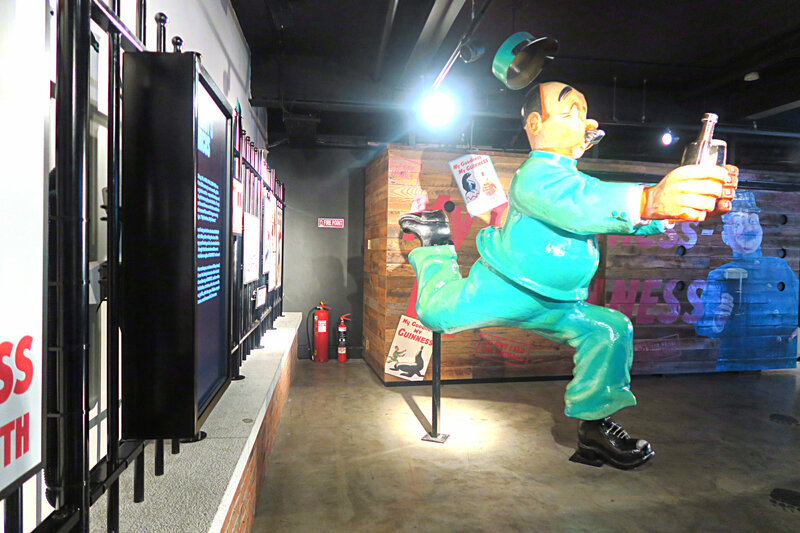 There are guided bi-lingual tours available but I always find it’s better to explore these places at your own pace. 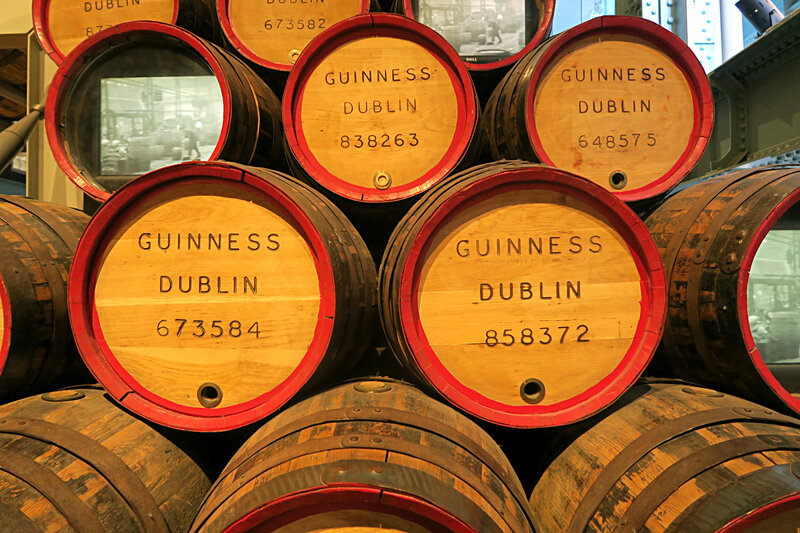 The story starts of with the raw material that makes Guinness and the story of when it was first brewed in 1759 by Arthur Guinness. 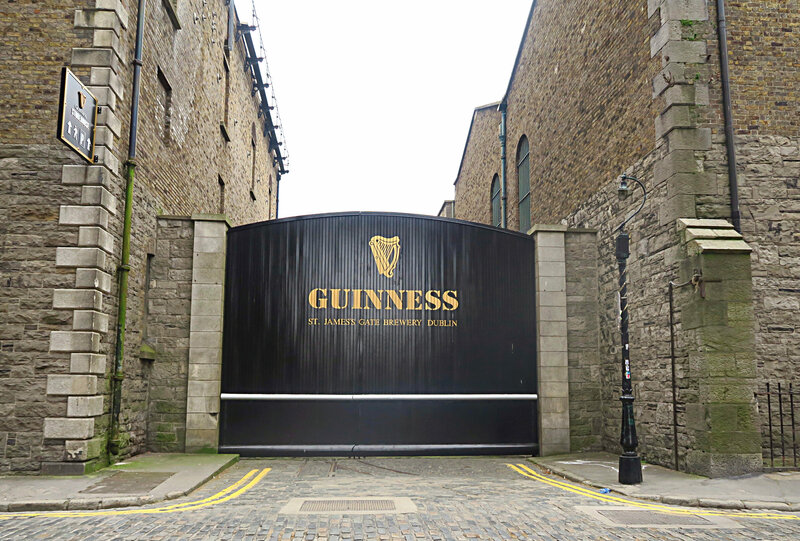 Moving on from the raw materials to how integral Guinness is to Irish and Dublin society the story is told in an informative and interactive way throughout. There are different cafe’s, shops and toilets located on every other floor so they really do want you to stay and spend your money! 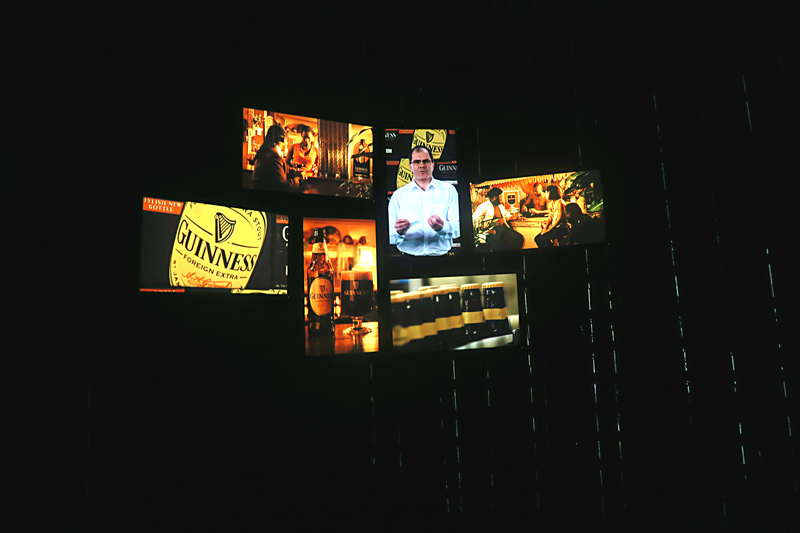 The storehouse experience discusses the people who work and worked at Guinness as well as the advertising legacy of Guinness. 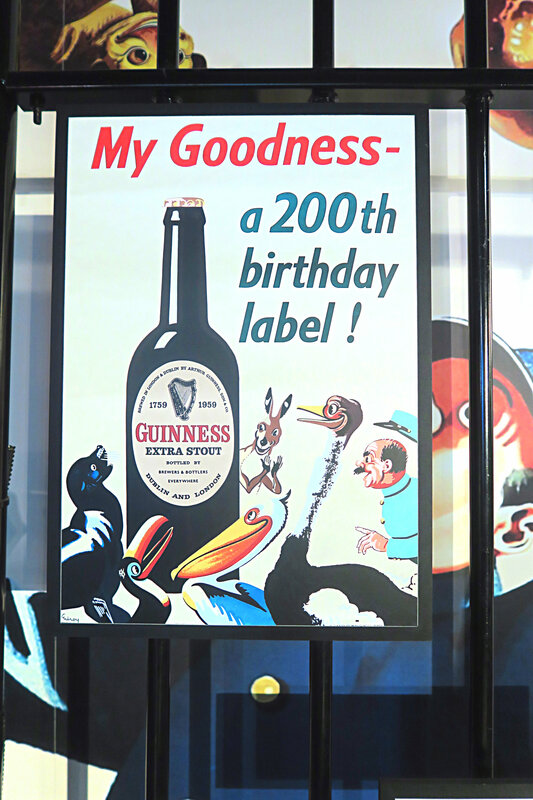 As Guinness is a brand that is known worldwide and is associated with Ireland. 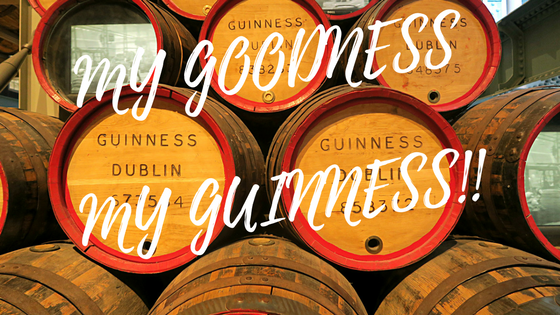 After all the historical info you can go up to the top and have the freshest pint of Guinness you’ll ever have! I might be typically Irish but I do love a pint of Guinness anytime of the year; winter or summer you can’t beat a glass of Guinness. Previous Post Salt Mines & Castles – Krakow, Poland Days 3 & 4.